For over a decade Vala's has been recognized for maintaining superior quality. 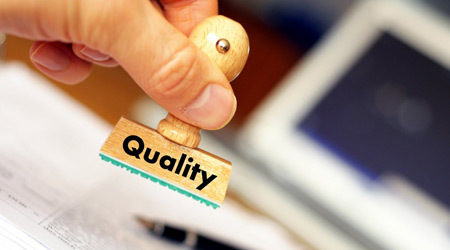 We believe in delivering the best quality to our clients. Our product quality is considered to be the most durable and long lasting. At Vala's we are not just Office chair manufacturer, we help you create your corporate image through professional office chairs. We being the manufacturer of wide array of products have a monopoly of designing premium corporate chairs for people across the board. Our range of office chairs comprises of products from executive chairs to premium chairs for CEOs and MDs, and all the chairs are comfortable and body flexi. We do not compromise in delivering the quality, whereas each and every element of the chair is being personally supervised and then assembled. In order to make sure the finished product is a quality product each and every chair manufactured at our workshop goes through a round of quality check. Each and every chair designed and manufactured at Vala's is uniquely designed taking into consideration the stress one goes through sitting at work at a stretch. Our chairs are considered as the most comfortable and body flexi giving a relaxed sitting and working experience to the professionals. We being one of the market leaders in manufacturing office chairs have been looked upon by the industry. We have no doubt set a benchmark in the industry by being the only manufacturer that provides top quality at affordable price. Vala's furniture provides a premium quality office chair which fits the requirement of corporates while maintain a professional impression. At Vala's we have readily available chairs at our showroom which are handpicked and designed by our professionals. At the same time we do cater to customization needs of our clients. We take orders from a single chair to bulk orders that can be easily customized in client's budget. Our easy customization takes care of all the elements of ergonomic office chairs that supports and fits a human body and one which is comfortable. We provide the facility of configuring the chairs to your specific needs that includes mechanism of movement, seat shape and padding, headrest design and style, adjustment of arm rest etc. We believe a chair at work where you spend more than eight hours of your day should be most comfortable that minimizes stress and boosts productivity. In addition to deigning and customizing your specific needs of office chairs, we also provide the facility of reconfiguring your chairs as required with an option of changing the upholstery of your choice. Are you one of those who is settling for a not so attractive and uncomfortable office chair? Why not prioritize comfort and style over getting convinced for something which is not comfortable. We customize chairs that is stylish, comfortable and easy on your pockets and we will make sure you will not have to sacrifice style and comfort when it comes to choosing the most important element of your work place.